If you have an Instant Pot you will love this list of Instant Pot Recipes! Yesterday in my post sharing my new favorite way to make homemade refried beans, I mentioned how much I am loving my Instant Pot. I love it and can’t believe it has taken me so long to start using it. I have used it over the last year, but not nearly like I should have. Now that I am using it more I am loving it! Over the last few weeks I have been searching online for new recipes to try and experiment with. I have collected quite a list of links. I have also received quite a few emails and comments asking for more Instant Pot recipes, so I decided to put together a list of Instant Pot recipes and thought I would share them with you. Be sure to save or pin this link. I plan to keep adding to this list as I find new Instant Pot Recipes that I make or want to try. 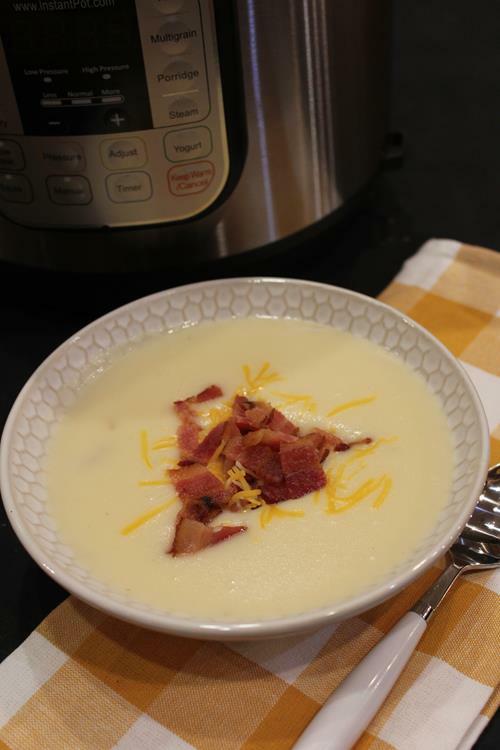 And if you have a favorite Instant Pot recipe please leave the link in the comments. I love hearing from all of you and I want this to be a resource for Instant Pot Recipes that you use and love! If you are curious this is the Instant Pot that I own. 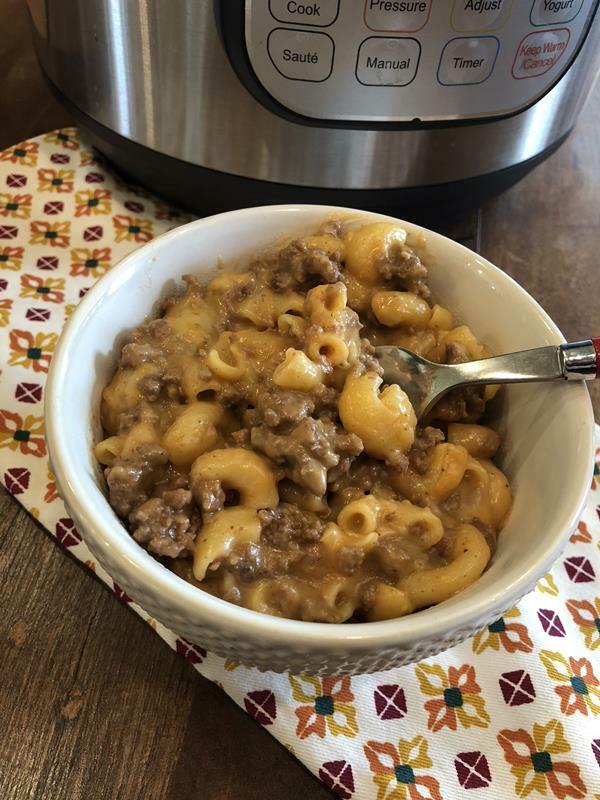 I also have a Pinterest Board all about Instant Pot Recipes that I am adding to as I find new recipes. 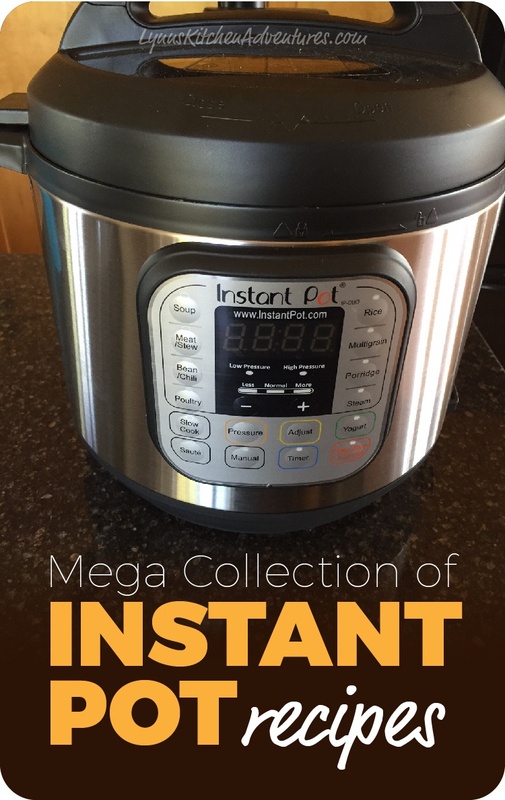 If you love Instant Pot recipes it is a good place to find some new ones. A note for my gluten free readers. 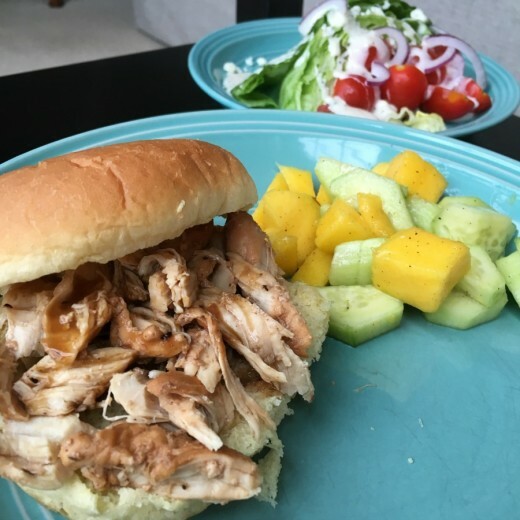 Many of these are gluten free, but some of them will need adapting if you are gluten free, so I also put together a list of gluten free Instant Pot recipes. 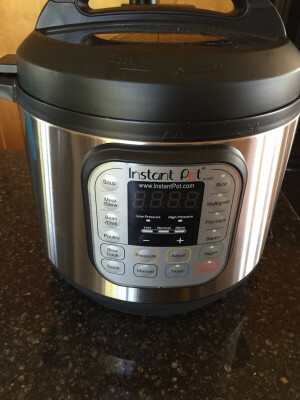 Tiffany from Eat At Home Cooks also has a great post comparing her Instant Pot vs Cuisinart. but was looking for more recipes to try. 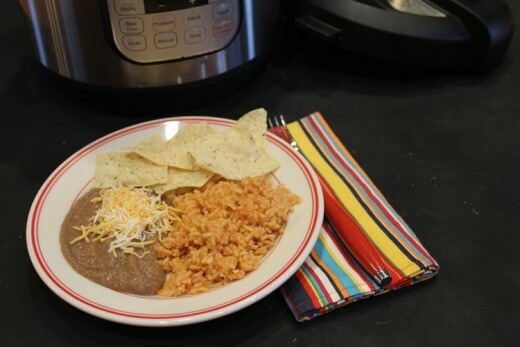 Plan on trying your refried beans in it tonight! Is the instant pot a electric pressure cooker? Yes, an Instant Pot is a brand of electric pressure cooker. Thank you so much for these recipes! I have been trying every one and loving each of them! I thought I was going to hate my Instant Pot since it came with so few “real” recipes. You just expanded my recipe collection immensely! 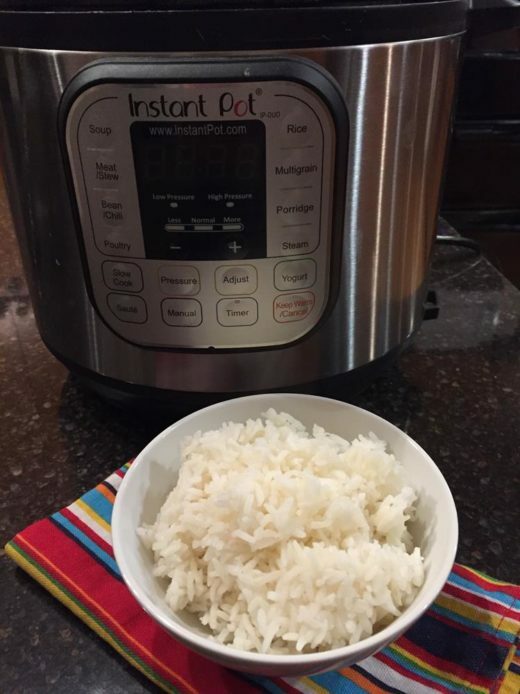 I just got an instant pot for my birthday and I can’t wait to try it! Thanks for the recipes! I hope you enjoy your Insant Pot. I love mine! I have a Farberware and I like using it for many of the same reasons you stated. I need to try more recipes. The clean up is a game changer for me as well as the amount of time it takes to get dinner on the table. Thanks for sharing the recipes and tips with us. Have you tried the Instapot recipes above (and they are good) or, are these just a collection of recipes you would like to try? It is a combination of both. The ones I my site are ones I make all the time. The recipes on other sites are a combination of recipes I have tried and ones that I thought looked really good and would like to try. I have not used the slow cooker feature on the Instant Pot. That is mainly because I have a crock pot that I love. I know a lot of people love it for that though. Sorry that I couldn’t be of more help..